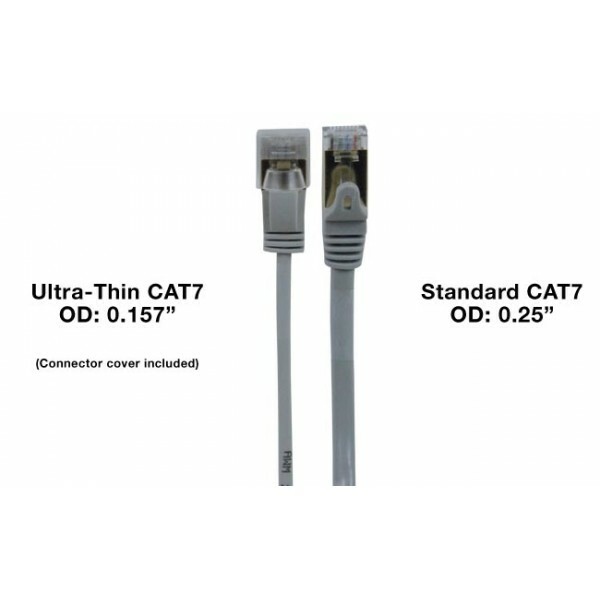 The CAT7 Ultra-Thin Slim Patch Cables are only 0.157” in diameter and ideal for high density datacenter applications. Thinner and lighter than standard CAT7 cables. Snagless strain relief boot provides secure and accurate connection – cables and boots are the same color. Included connector covers protect the male RJ45 plugs from physical damage, dust, dirt, grime, and liquids. 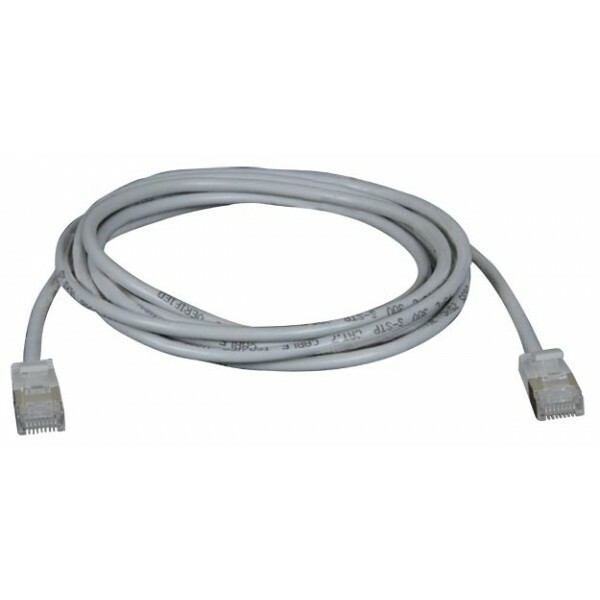 Use for 10Gb Ethernet network connections such as patch panels, switches, computers and routers. 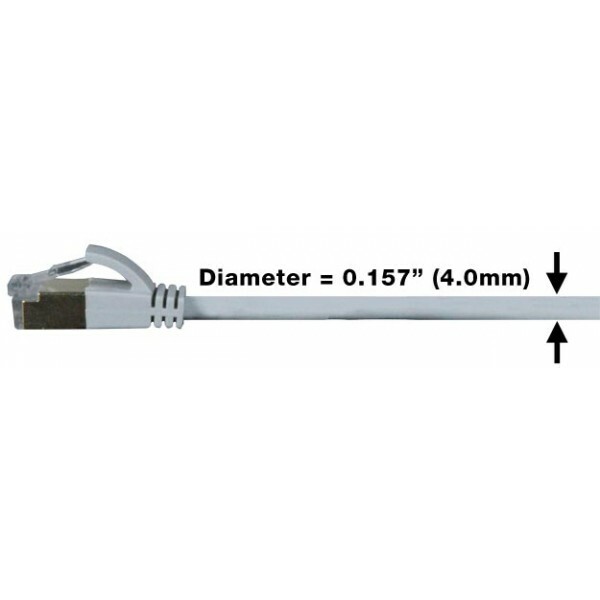 36 AWG stranded SSTP CAT7. Complies with TIA/EIA 568C standard. Supports 10/100/1000/10G Base-T Ethernet interface.